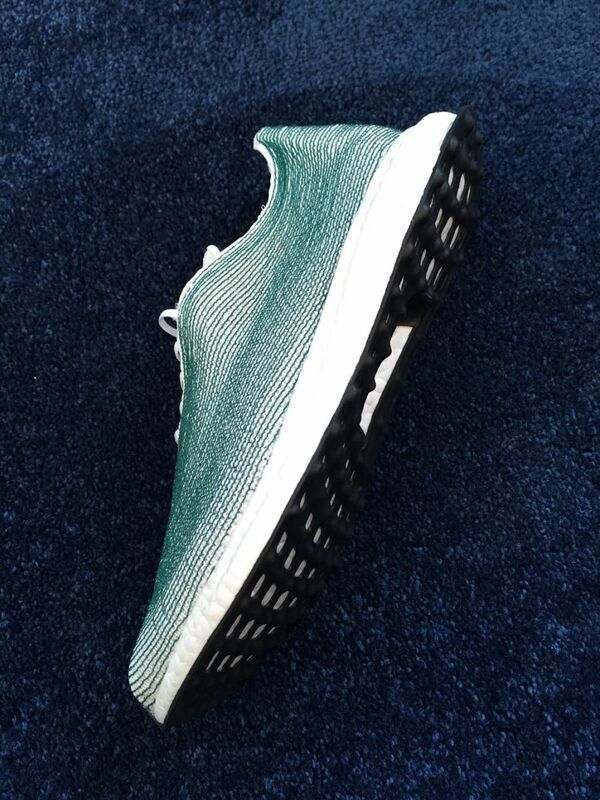 New adidas Ultra Boost silhouette planned for 2016. 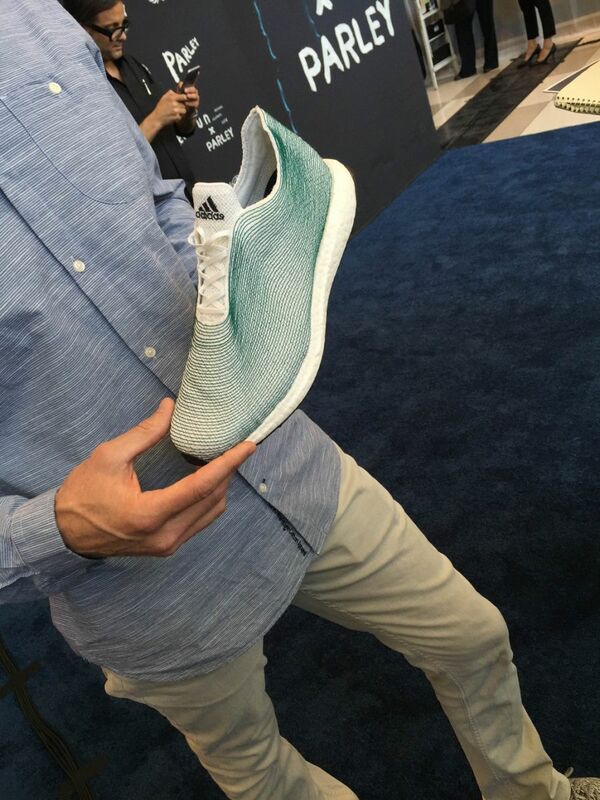 Today at the United Nations headquarters, adidas unveiled its latest Ultra Boost silhouette. 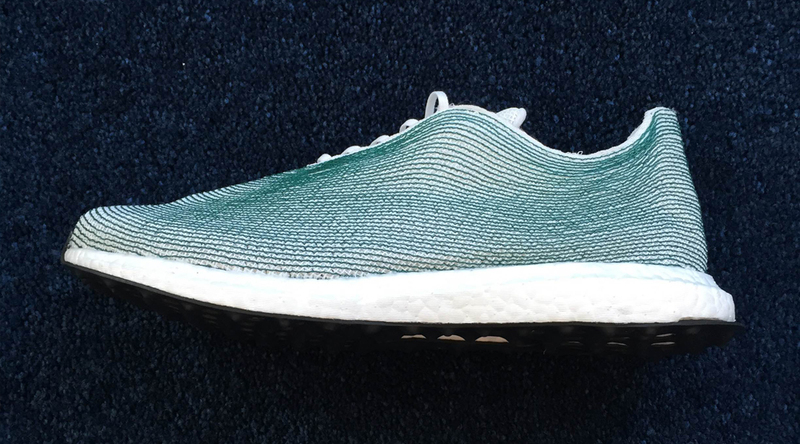 Made in partnership with Parley for the Oceans, the upper is made entirely of yarns and filaments recycled from ocean waste and illegal deep sea gillnets. Parley's partner ship, the Sea Shepherd, retrieved the nets used after a 110-day expedition tracking an illegal poaching vessel, which culminated off the coast of West Africa. 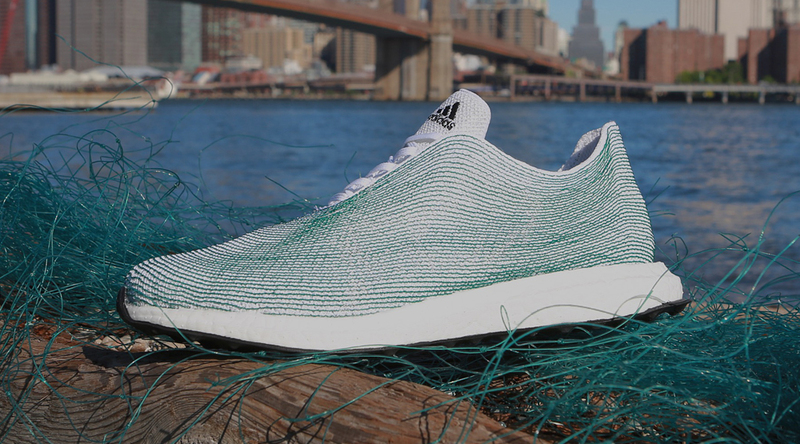 The sneaker was created to help raise public awareness in an effort to preserve our oceans. 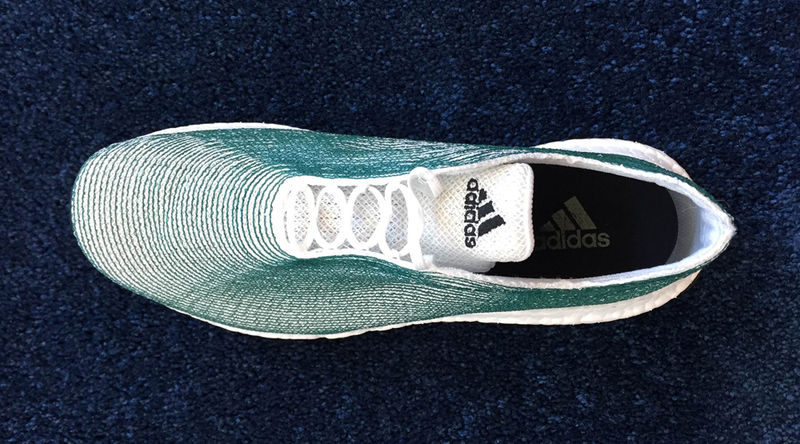 Consider this first look a prototype, so you can expect to see some of the design change between now and when they are prepared to launch. 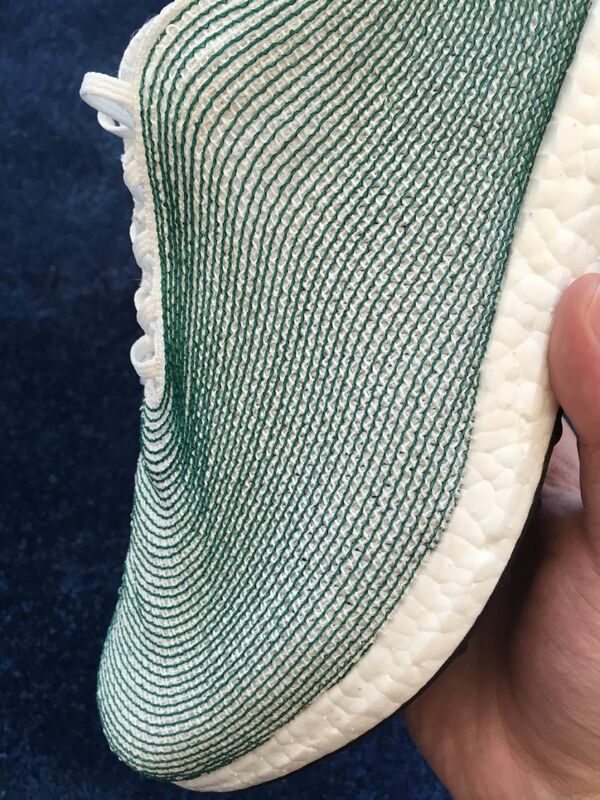 While no sneaker release date has been announced, expect to see this sneaker hit stores during the first quarter of 2016.